Ranging from gritty realism to oniric impressionism, the images gathered all bear the impress of the awesome force of the natural world. When I discovered Anita Conti a few years ago, her work instantly blew my mind. 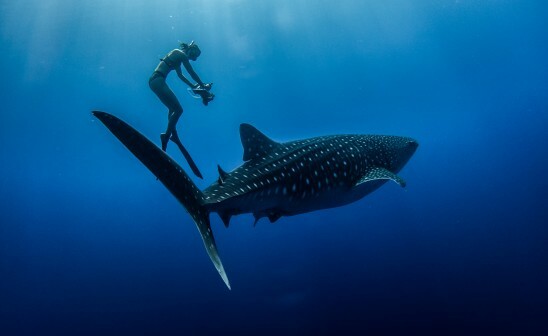 I remembered reading everything I could regarding her career as a photographer, explorer and as the first french female oceanographer. 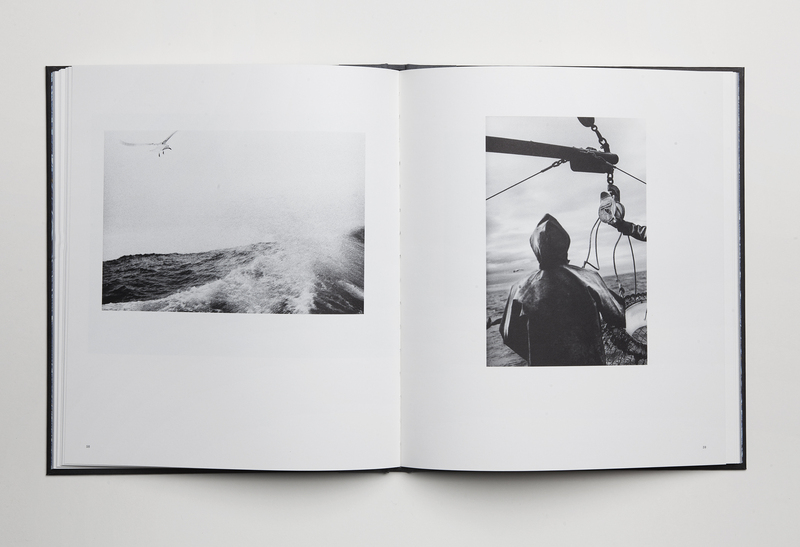 In the late 1920s, Anita Conti used to spend months on fishing boats, documenting fishermen’s life along the coast of Saharan Africa, Senegal, Guinea, and off the coast of Newfoundland (Canada). 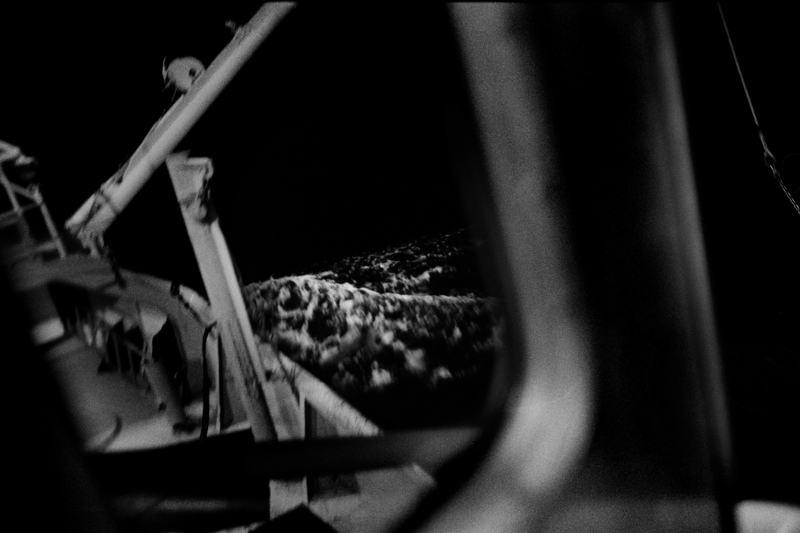 Le Naufrage is a photographic investigative journey that has taken me to the hinterland where documentary photography and historical documentation converge. I have always been fascinated by the St. Lawrence River, which I see as something much more resonant than merely a great seaway dominating our landscape. Le Naufrage is but one part of a larger project in which I explore the iconic river as a unifying force that binds together the traditions that gave birth to and have always shaped Canada society. 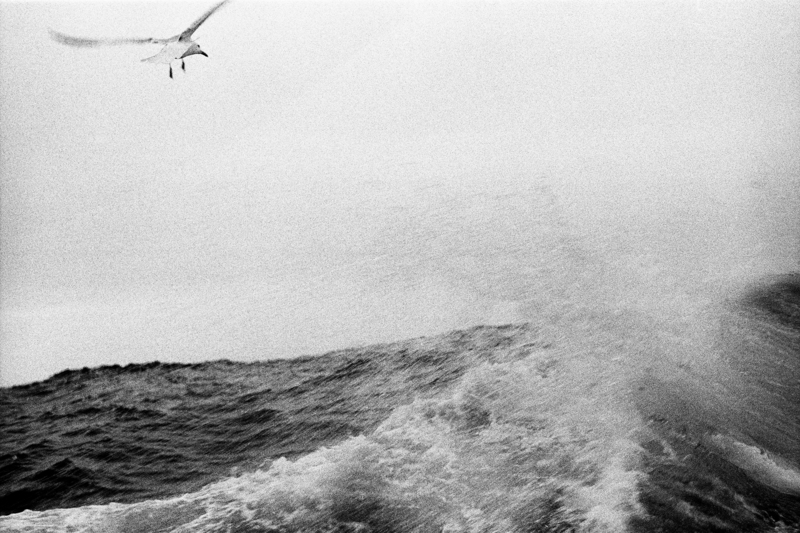 My work takes inspiration from myriad sources—exploration narratives, sailor’s legends, and the work of the navigators and oceanographers who travel the St. Lawrence—and the book has become a space of contemplation that opens dialogue on the representation of place and memory, the natural world, and our living past. How would you describe your pictures from Le Naufrage? First, this title was chosen for its poetic echo. I feel the word itself represents, in perfect balance, the tension between the sublime force of nature and the history of men at sea. My book presents a personal vision of the St. Lawrence steeped in the river’s cultural heritage and folklore. Ranging from gritty realism to oniric impressionism, the images gathered all bear the impress of the awesome force of the natural world. This body of photographs is supplemented by others taken on land, along the Gaspé and North Shore coastlines, depicting the sites of shipwrecks that bear the invisible scars of the past. This experience didn’t change my perception, but it made me understand the vastitude, the strength of the Saint-Lawrence river as well as it’s vulnerability. Although fishermen are men of few words, they teach you a great deal about humility. Fishermen seem to be the heart of your work today. 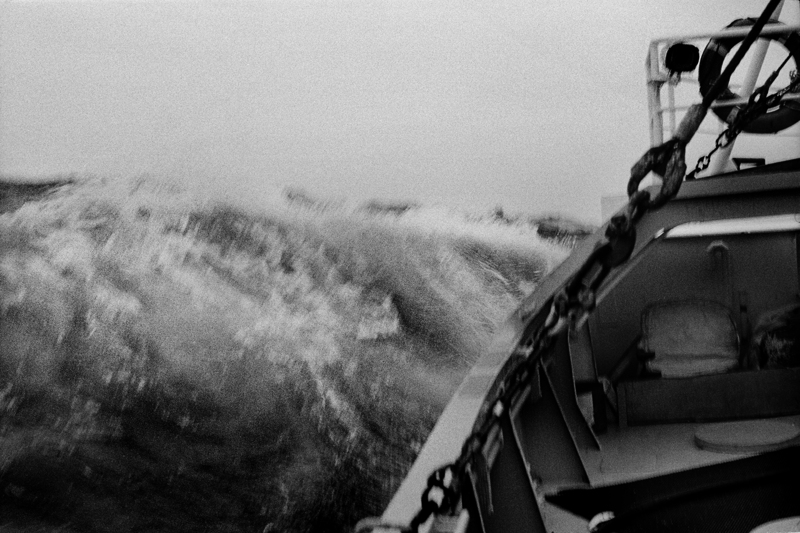 Over the years, what did catch your eyes as a photographer working on boats? For years, my work has explored the figure of the fisherman as a symbol of our collective origins. 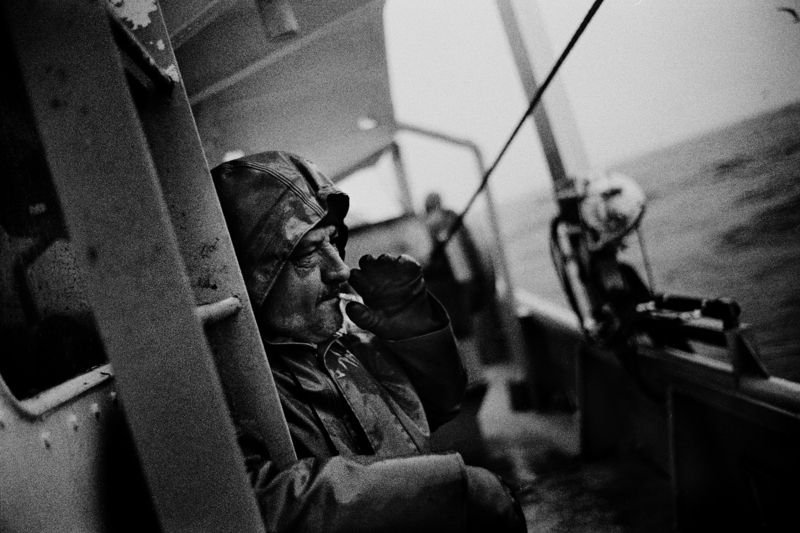 Working on fishing boats, exposed to the weather, these men labour in silence. Over time I began to see their world, through their eyes; an elemental environment of coastline, horizon, sea, wind, and sky. As if of their own volition, my photographs taken on the water naturally slip away from the discursive subject to fuse into more abstract seascapes. The Saint-Lawrence river covers a vast area and different realities. Although I photograph fishermen from different provinces as far as Nova-Scotia, I decided to concentrate my project around the estuary of the Saint-Lawrence river. This project aimed to bring together past and present by creating a dialogue between landscape that bear the traces of shipwreck and seascape of daily life at sea. In which way is your work a mix between a personal vision and an investigation? It's definitely more a personal vision than an investigation. Nonetheless, I tend to start my project as an investigation process. Since this project has taken quite a few years to realize, a lot of things changed since the beginning. 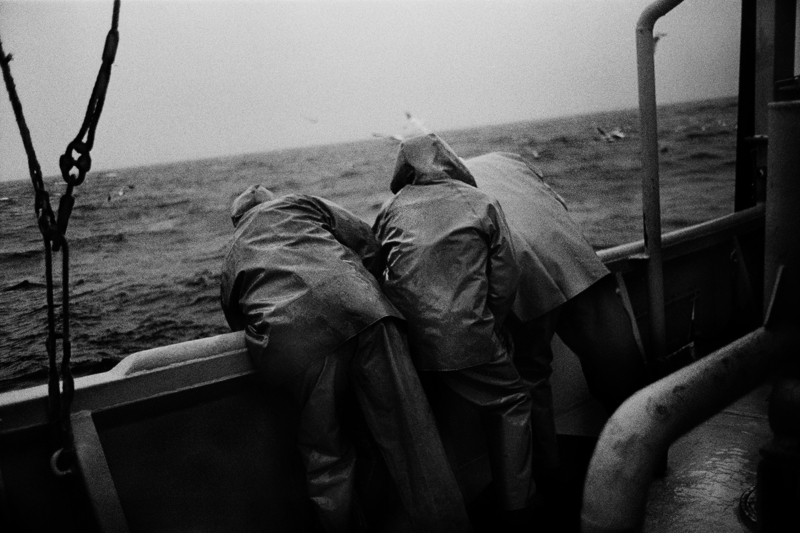 At first, the project was meant to be a photoreportage but I knew there was more to show than men working at sea. Most of the things that inspired this project were abstract such as the history of navigation and the weather condition. It become an investigation process when you trying to find a way to represent things that belong to the Hors-Champs. As a photographer from Quebec, what’s so special about this river? I grew up near the Saguenay River in Quebec, Canada. I always felt that coastlines were the perfect place to experience the landscape. I guess I’m interested in waterways because they are engraved in our genes. Not so long ago, the coureurs des bois, who were mostly French-Canadian and mixed blood, were sailing down the river trading European items for furs and exploring the continent. This river has played a major role in the colonization. It's the main water way to the hinterland of the North American continent. Through the years, most of the Quebec population settled along the coast line of the Saint-Lawrence river. We shall remember, this river is a dominant element of our landscape. Quebec began as, and has remained, a seafaring society, dependent on the St. Lawrence to transport provisions, communicate, and travel. Long before European colonization took root, fishermen from Scandinavia, Basque Country, Spain, Portugal, and Saint-Malo plied their trade along our coast, harvesting the bountiful resources of the St. Lawrence Estuary. Tell us more about the 108-pages book you published. 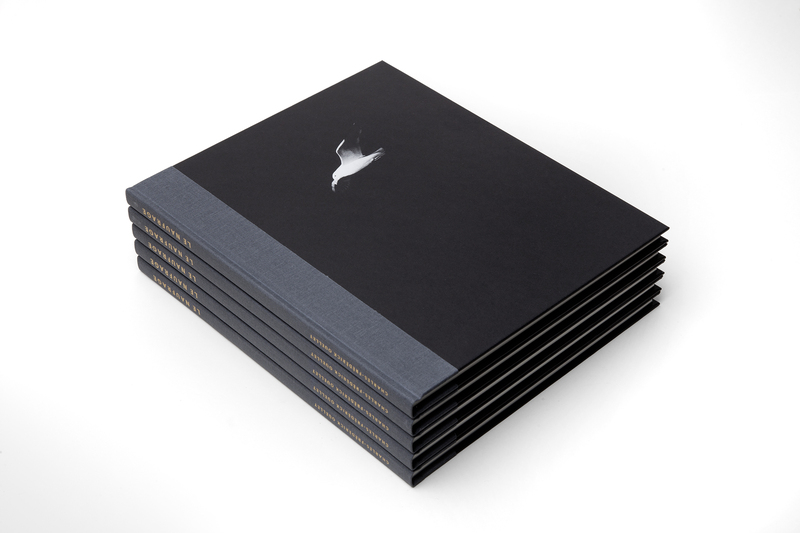 This photobook is also an exploration of the narrative form itself. The physical book is designed to resemble a reference book. Its aesthetic harkens back to classical book design and adopts certain conventions of an earlier time when books were repositories of knowledge and credibility. Key features are marbled end papers, a linear structure, and page layout that recalls early scientific works. This clean design augments the force inherent in the way images unfold in sequential order. The content is divided into two parts. Part One, a prologue of sorts, is a series of landscapes depicting the sites of shipwrecks. It serves as a temporal marker, immersing the reader in the past from the moment they open the book. Part Two is the heart of the work: a sequence of forty images of waves, clouds, and fishermen that recalls 19th Century marine paintings. The images in Part Two are interspersed with a short text by playwright Fabien Cloutier. At the moment, I keep working on identity symbols that inspired North American mythology. For the past few years, I have been following in the footsteps of Louis Jolliet. As the first explorer born in North America, first non-native to map the Mississippi, cartographer, royal hydrographer and coureur des bois, Jolliet is one of the greatest forgotten figures of our history. 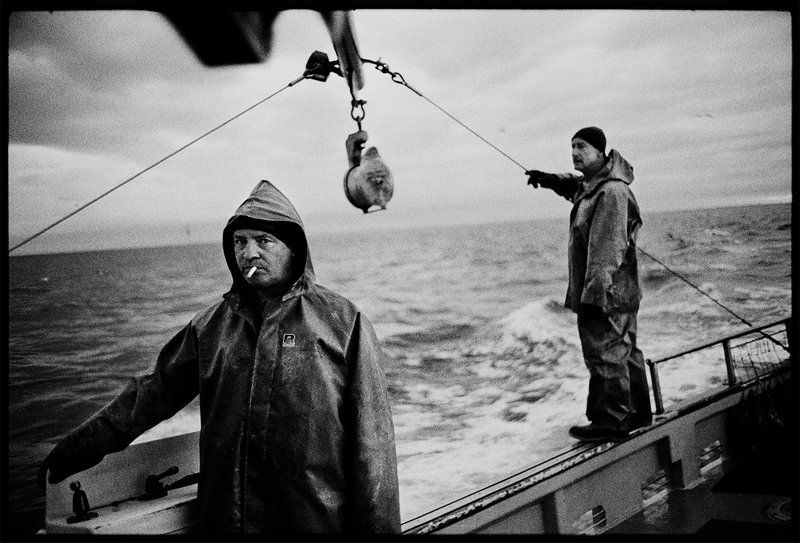 Other than that, in a couple of months, I will be over in the Basque Country and on the North-shore of Quebec and Labrador taking photographs for a project about the Basque fishermen, who settled in North America before colonization. The project is a collaborative residency between Quebec and France, where I will work with French photographer Christophe Goussard. 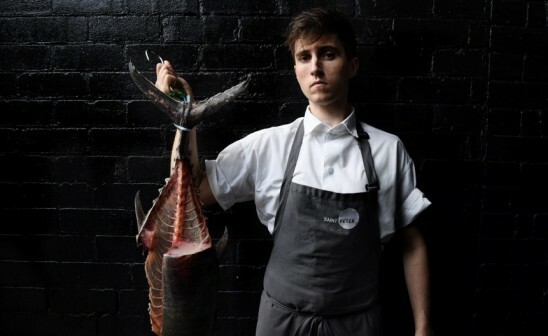 Discover more about Charles Frédérick-Ouellet's work on his website.